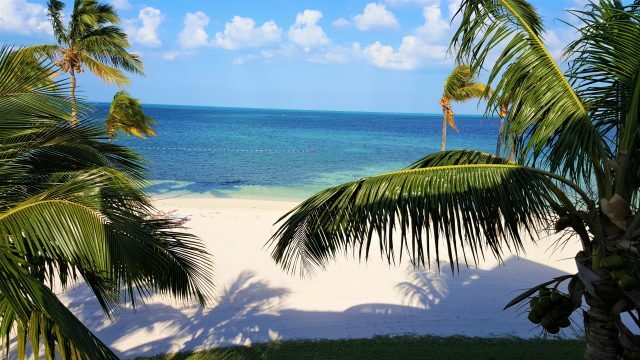 Travelers make the 35-minute drive from the capital in Freeport, Grand Bahama, to snorkel, kayak and paddleboard Deadman’s Reef. Unlike other snorkeling sites only accessible by boat, the reefs in this area are close enough to swim to from the beach. Parts of the reef are so shallow, you could theoretically stand up (although standing on the reef is discouraged). Sights of wild dolphins, sea turtles and other tropical fish abound. While the settlement on the western side of Grand Bahama Island is known for its outdoor activities, two vacation home developments are rebooting plans to transform the area into a residential community. The community will focus on boating and vacations. 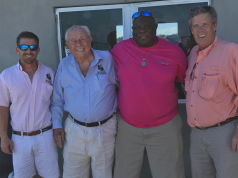 The two communities will be the $5 million Seaward Angler’s Club (previously Fishing Village) and the $2 billion Grand Bahama Bay (previously known as the Ginn Sur Mer Project). Between the two developments, the number of marinas on the island will grow from seven to nine. The nearest existing marina to these developments is the Old Bahama Bay Resort & Yacht Harbour, which has 71 slips in West End. Although only a few details are available on the new marinas, the plans have been approved by the Bahamian government and work has started. Seaward Angler’s Club, a beach- and harbor-front vacation home community, had its genesis in 2003. The global recession slowed the project, but excavation of the marina and all underground utilities were completed. Plans include 30 homes on the north side of the marina and 11 along the oceanfront. The 35-acre site at Deadman’s Reef will have a deepwater harbor with an 8-foot minimum draft at mean low water, a 95-foot wide entrance channel, a 300-foot wide turning basin, and not less than 120 feet in width for the entire length of the harbor. The harbor’s front residential lots will include up to 90 feet of dock space each. 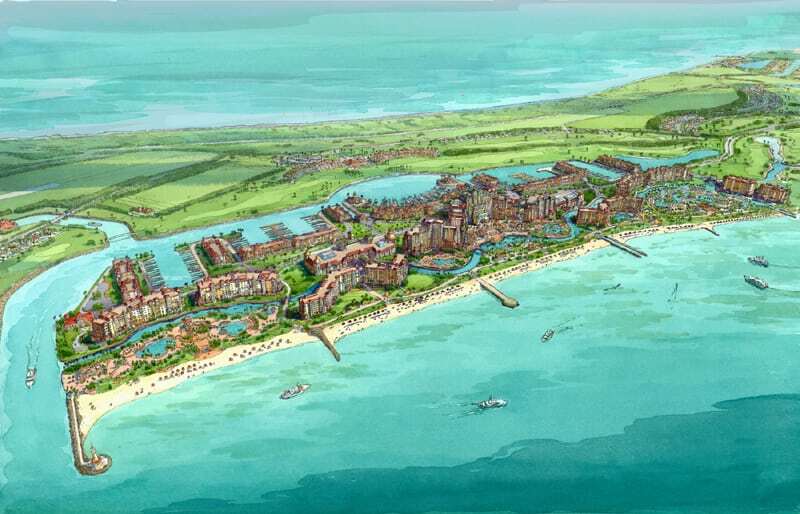 Over the next 10 years, the Grand Bahama Bay project will repair, revitalize and develop the more than 2,000 available acres out by Old Bahama Bay Resort & Yacht Harbour to include a 150-slip marina, a golf course, multiple hotels (one with a casino), shops, residences, an organic farm, a smart city (for high-tech start-ups), and the West End airport. At the moment, the government is negotiating the agreement for the project. 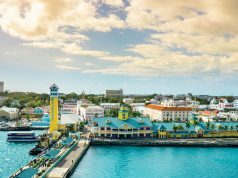 Given the size of the Bahamian archipelago, there is plenty of room for growth in the marina industry. The Bahamas covers more than 500 miles from the tip of Grand Bahama to the toe of Inagua. However, it only has 60 total marinas. For scale: that’s the same distance between Boston, Massachusetts, and Elizabeth City, North Carolina. That span crosses the coastline of nine states, and each has hundreds of marinas. 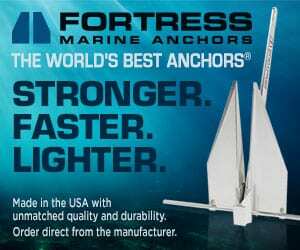 The addition of new marinas in The Bahamas signals the introduction of new product offerings for the boating community. Grand Bahama, in particular, is an island with enormous space for expansion in terms of land development and population growth. 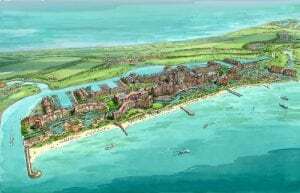 This expansion can happen yet still allow the island to maintain its rural, close-to-nature, tropical feel. In 1955, when the first major private developer and architect of Freeport City, Wallace Groves, had his eyes on Grand Bahama, the original design plan could have a population of 300,000. Today, the population is just over 50,000. Freeport is a planned city with modern infrastructure, but the majority of the land on the island is barren. Accessibility to Grand Bahama for boaters is only surpassed by Bimini, which is the closest island to the United States. 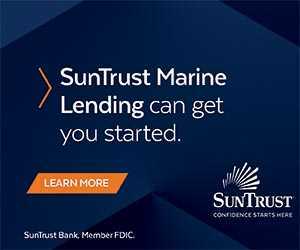 West Grand Bahama, however, is only 65 miles away from the U.S. That’s just a two-hour boat ride from West Palm Beach, Florida or 35 minutes by plane. 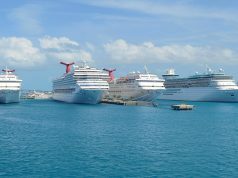 Grand Bahama a prized destination for boating, although not as well known or heavily trafficked as Bimini or the Abacos. A half mile off offshore of Bahama’s northwestern coast, the ocean drops off more than 300 feet in depth. This creates conditions for great fishing. Boaters know Grand Bahama has prolific sport fishing and opportunities to hook marlin, sailfish, and tuna. There are also many flats for bonefishing. The new marinas will provide increased access for boaters, create new amenities, and on-island activities to enhance a vacation.